Soft, cool and fresh, this pastel lilac nail polish is the ideal choice for any soigné sophisticate. Lilac nails are an excellent trendsetter. 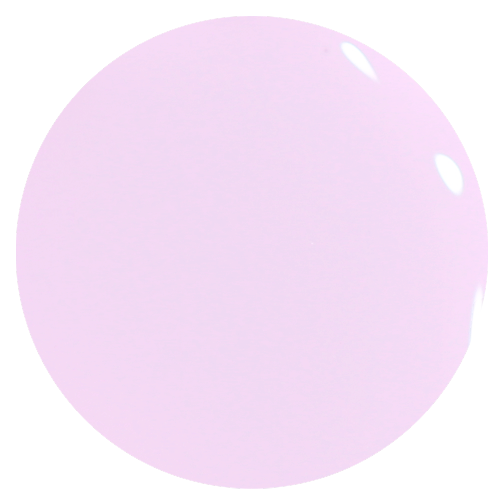 Pastel Lilac Nail Polish: an opaque lilac orchid cream 9-Free more natural purple nail polish. Pairs well with a sunny day and a cocktail. Lilac is a colour that is a pale violet tone representing the average colour of most lilac flowers. It can also sometimes be described as a dark mauve or light purple colour. Some lilac flowers are also of a pale lilac, rich lilac or deep lilac hue. There are others that have a more red-lilac shade. The first recorded use of lilac as a colour, was in England in 1775. Like the flower, pastel lilac nail polish is enduringly popular, a go-to classic favourite. For that extra special finish, that professional treatment, make sure that any oils or other impurities, including any old nail polish, are entirely removed from the nail plate. To clean nails, add in long, even, uninterrupted strokes, your Prestige Base Coat Nail Polish. This will prevent staining of the nail plate and improve adhesion of the nail polish. Once all ten nails are covered, paint very thinly, with your Pastel lilac purple nail polish, from cuticle to nail tip edge, in the same manner, ensuring that you finish by also brush along the very edge of the nail tip, to ensure the colour is sealed and locked in. For more pigmented appearance, repeat the purple nail polish with a second coat. Finally, brush a generous layer of Prestige Top Coat Nail Polish, again from cuticle to tip, ending with a quick strobe of this top coat along the nail tip edge, to provide a more non-chip nail polish and salon finish. Enjoy your beautiful purple nail polish! You may also be interested in Blantyre Street and Mystery in Mayfair, which make really lovely complimentary nail varnish sets. 12ml of luxury 9 free more healthy pastel lilac purple nail polish.